New rules went into effect on Jan. 1, 2018 that are intended to ease the administrative burden you face as you strive to meet the requirements of Washington insurers or their third-party administrators when seeking prior authorization of medical services. The WSMA has worked hard to influence how these rules help streamline and standardize prior authorization processes for medical services. To help you adjust your workflow to accommodate the new requirements, the WSMA has introduced the Prior Authorization Navigator—a mobile-friendly “one-stop-shop” website for guidance on the new rules. Find a one-minute bullet-point summary of the new rules on this page, then explore the Navigator for in-depth guidance on the rules’ provisions. You’ll also find guidance on 2015 rules covering prior authorization of prescription drugs. Download a one-pager for quick reference for your staff or your office. 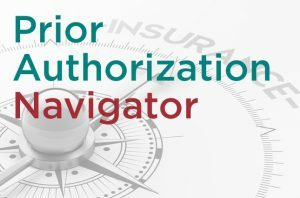 If you encounter an insurer or third-party administrator (TPA) out of compliance with OIC’s prior authorization requirements, file a complaint using the Navigator’s complaint form. A brief look at the new rules for prior authorization of medical services. See this page for rules for prior authorization of prescription drugs. Prior authorization requests may now be submitted at any time, including outside normal business hours. For a standard prior authorization request, an insurer must make a decision within five calendar days. For an expedited prior authorization request, the insurer must make a decision within two calendar days. Insurers must have an “extenuating circumstances” provision if both standard and expedited time frames are insufficient for approval of a service. Must deliver a written notice to the physician, facility and the patient. If the denial is provided orally, subsequent written notice must be provided. Must give the specific reason for the denial in “clear and simple” language. If the request is denied based on medical necessity, the criteria used to make the determination must be given. Must include the department, credentials and phone number of the individual who has the authorizing authority to approve or deny the request. Clinical review criteria used to evaluate prior authorization requests must be provided to physicians and facilities, per a patient-specific online process. Learn more. Starting Nov. 1, 2019, insurers must provide to physicians a “current and accurate online prior authorization process” with patient-specific information needed to determine if a service is a benefit under the enrollee’s plan and the information necessary to submit a complete prior authorization request. The service is a benefit. If a prior authorization request is necessary. What, if any, pre-service requirements apply. Insurers are obligated to ensure their TPAs comply with these new requirements. The Office of the Insurance Commissioner will enforce its requirements using a complaint-driven process. You can help ensure the rules’ effectiveness by using the WSMA Prior Authorization Navigator’s File a Complaint form when insurers or TPAs are not in compliance. Starting Nov. 1, 2019, insurers and TPAs are required to provide a secure, online process for physicians to submit a prior authorization request. While this online option must be offered in addition to other current methods, such as fax machines and 800 numbers, the goal of this provision is to move the industry away from reliance on outdated, inefficient technology. This provision does not apply to integrated delivery systems. The OIC in late 2015 adopted rules aimed at improving prior authorization for prescription drugs. Learn more. Individual (both on and off the Washington Health Benefit Exchange). Large group (other than self-insured). The rule does not apply to Medicaid managed care organizations and Medicaid fee-for-service plans, Medicare, Taft-Hartley plans, PEBB/Uniform Medical and Tricare.